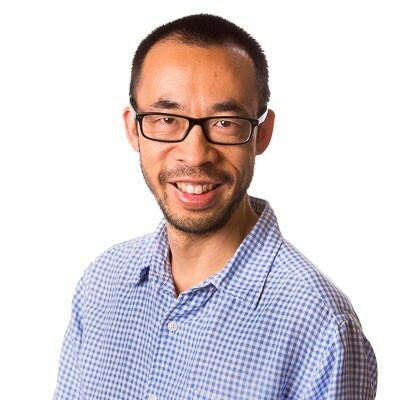 Associate Professor Steven Tong is an infectious diseases physician with the Victorian Infectious Diseases Service and Co-Head of the Translational and Clinical Research and Indigenous Health cross-cutting disciplines at the Doherty Institute. He spent 10 years in Darwin before moving Melbourne to join the Doherty Institute in 2016. His research interests include skin pathogens (Staphylococcus aureus, Group A Streptococcus), hospital infections, Indigenous health, viral hepatitis and influenza. His passion is to apply cutting edge science to address clinically driven questions. Steven trained in infectious diseases in Melbourne (2004-2005) and Darwin (2006) and was awarded a PhD from the Menzies School of Health Research/Charles Darwin University in 2010. His post-doctoral training took him to Duke University, North Carolina (2011) and the Wellcome Trust Sanger Institute, Cambridge in the UK (2012). Key achievements from his research include the discovery and naming of two new species of Staphylococcus, discovery of a novel genotype of hepatitis B in Indigenous Australians, and the conduct of clinical trials for the treatment of impetigo and MRSA bloodstream infections. Bloodstream infections due to Staphylococcus aureus are common and dangerous. There are >5000 such infections in Australia every year, with a 20% mortality with each episode. We are currently conducting multi-centre clinical trials to improve the management of these infections. A major focus of our work is to develop a novel adaptive platform trial to optimise management of all subgroups of Staphylococcus aureus bacteraemia. There are many elements involved in setting up such a platform trial, ranging from Bayesian statistical modelling, protocol development, streamlined consent processes and ethical considerations. The epidemiology of staphylococcal infections is dynamic. The reasons for the waxing and waning of clones is not well understood. Our work seeks to elucidate drivers of emerging clones and especially the role of antibiotic resistance. We have a particular interest in S. aureus clones from remote northern Australia where rates of MRSA dwarf that of elsewhere in Australia. We have also defined and named a new species of Staphylococcus. Staphylococcus argenteus (so named as it lacks the golden pigment of S. aureus) is increasingly recognized as a cause of serious infections globally. Our work aims to understand the population biology and clinical consequences of this new species. Streptococcus pyogenes (Strep A) is one of the leading infectious disease agents in the world. The disease burden is alarmingly high within the Top End of Australia where the epidemiology of infection contrasts that of other geographical regions. In addition to superficial skin infections, Strep A causes invasive infections, and can also lead to rheumatic heart disease and kidney disease. Our group is involved in studies ranging from mathematical modelling of the transmission of Strep A, to understanding detailed aspects of the bacteria’s genetic make-up and evolution, to conducting clinical trials to improve treatments of Strep A infections. Our groups consists of clinicians, public health practitioners, mathematical modelers, bioinformaticians, and bacterial genetecists. Streptococcus dysgalactiae subspecies equisimilis is a human pathogen, mirroring the disease profile and colonising the same ecological niche as the well-documented human pathogen, Streptococcus pyogenes. The overlap in both pathogen lifestyle and disease repertoire along with evidence of gene transfer between these pathogens suggests that they may share common genetic mechanisms for causing disease. The primary aim of this project is to apply various bioinformatics approaches within global genome databases to identify candidate genes that drive streptococcal invasive disease and other pathogenic processes. This will also inform vaccine approaches to combat streptococcal disease. Remote Indigenous Australian communities experience disproportionately high levels of skin disease associated with the bacterial pathogens, methicillin-resistant Staphylococcus aureus (MRSA) and Streptococcus pyogenes. Our preliminary research indicates that dogs in remote indigenous communities also carry MRSA more commonly than dogs in urban settings. A significant knowledge gap exists as to the role of household animals in the maintenance and transmission of skin pathogens in remote Australian communities. This project aims to use bioinformatics approaches to investigate the transmission of skin pathogens between humans and animals in areas of high disease burden. This is a currently recruiting international multi-centre clinical trial to determine if combining a penicillin-class antibiotic to standard therapy for MRSA bloodstream infections will improve outcomes. The study is led by Steve and his colleague Professor Joshua Davis from the Menzies School of Health Research. Other clinical trials for S. aureus bloodstream infections are in the start-up phase. There are high rates of antimicrobial resistance in Indigenous communities with some communities having rates of MRSA greater than 50% of all Staphylococcus aureus. Working with Professor Jodie McVernon (Doherty), Steve is quantifying the rates of antimicrobial resistance, elucidating the key drivers of antimicrobial resistance, and assessing the use of and appropriateness of antimicrobial prescribing in Indigenous communities.